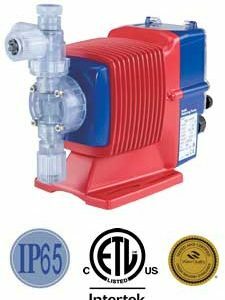 The EHE series have capacities up to 20 gallons per hour at 150 PSI. 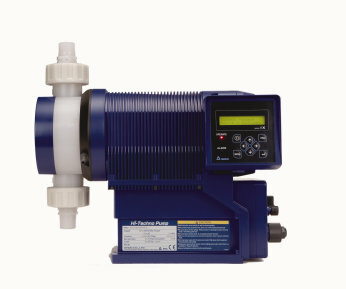 Combining performance and an adjustment ratio of 1800: 1, one of the most versatile pumps on the market today. 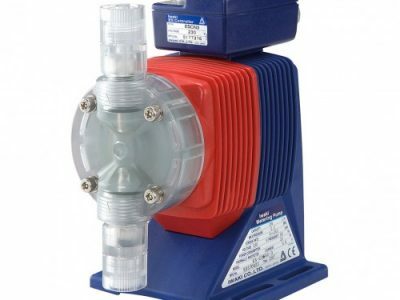 This new series of metering and volumetric pumps can achieve a rate of 1.25L / min and, thanks to the integrated microprocessor, to manage a wide variety of current signals or pulses. 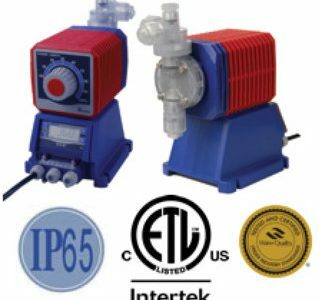 The volume injected is adjusted by means of frequency (between O and 360 strokes) and stroke length (20 to 100%), which makes possible a wide range of flow rates. The controller includes a microprocessor that allows four operating modes (manual, proportional divider and multiplier). 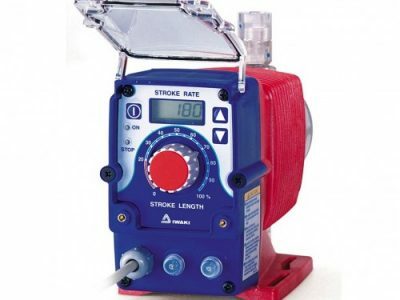 The injection rate is increased or decreased by one stroke / minute in the range from 0 to 360. This setting can be carried out either on or off. The injection rate can be controlled by a flow of continuous type, 4-20mA, 0-20mA, 20-4 mA, 20-0mA. 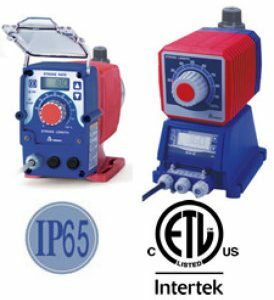 in response to (n) pulses, the metering pump makes an injection. The number of pulses to be received is set by the keys between 1 and 999. 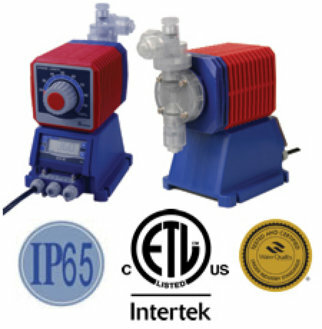 In response to a pulse, the dosing pump performs (n) injections. The number of injections is set by the keys between 1 and 999. 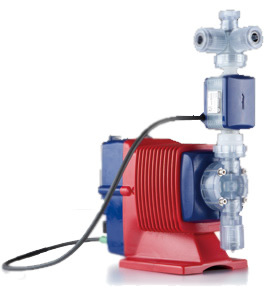 The pump is able to memorize the pulses which occur during the execution of the previous command (maximum 250 pulses).